Dagger is a comic hero in the Marvel universe that has usually appeared with her partner Cloak. She was conceived along with his longtime partner Dagger in the early 80s by comic creator Bill Mantlo. 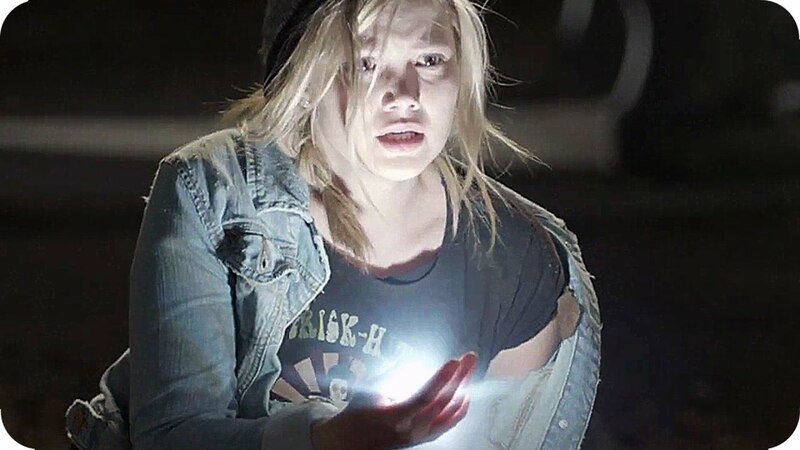 In April 2016 it was announced a Cloak & Dagger TV show was coming to ABC Freeform. Actress Olivia Holt has been hired to pay Dagger in the TV series. Tandy is grew up in a well heeled household in Shakerheights, Ohio. Despite, the high financial status of her home her mother was a highly narcissistic super model who had no time for her children. Tandy's father left for India seeking "spiritual rebirth". He effectively fully abandoned his family and his estate to Tandy's mother. Her mother remarried a man name Phillip who was actually pretty nice but Tandy still feeling hurt she rejects him as a father figure. For a time she dates an older boy named Robbie but is left feeling lonely and rejected when he leaves for college. At 16 she finds she is no longer able to tolerate her mother she decides to run away to NYC. In NYC, Tandy is mugged and another teenager helps retrieve her purse. Her hero is Tyrone Johnson who will become her partner in love and crime fighting. The two later go out to dinner and become fast friends despite growing up very differently they both find they are runaways. Tandy ignorantly accepts an offer for shelter from two strange men. Tyrone's common sense says that something is wrong and joins Tandy to protect her. The two find themselves as experiment guinea pigs of Simon Marshall. Simon was working as a chemist for the crime family the Maggia and its leader Silvermane attempt to create a new form of street-drug called D-Lite. The two were injected with D-Lite. Somehow the pair managed to survive and escape. They soon find that the drug created mutations in both of them. Tandy is infused with radiant light that she can fire out as knives. Tyrone finds that much of his body has been engulfed by shadow. He quickly begins to don a cloak to hide parts of his transformation. Tyrone finds that he is filled with a hunger for life force that is only eased when in the presence of Tandy's light powers. If he is not around Tandy, Tyrone will fully consume the life force of people, killing them. After the transformation the two use their powers to beat down some of Marshall's thugs. They begin to call themselves Cloak and Dagger. The two used their power to battle to the crime family the Maggia. They kill both Simon Marshall as well as Silvermane. Silvermane later returns as part cyborg but is once again defeated. They later help Spider-Man thwart an assassination attempt on the Kinpin by the Punisher. The pair join the forces of Spider-Man to battle the insane supervillains released by Carnage in the Spider-Man event known as Maximum Carnage. The two take the side of Captain America in Civil War but generally try to stay out of the fray. They do help transport the New Avengers using Cloaks darkness teleportation. Dagger generates living light or intensified form of life force that she can then manipulate to a variety of functions. Can create light that can be fired as daggers, or blinding flashes. Can use light to detoxify and heal people from corruption or toxins. Cloak feels a hunger that can only be fed from the light powers of Tandy/Dagger or by dispatching and consuming the light of victims that he brings to the Dark Dimension. In April 2016 it was announced a Cloak & Dagger TV show was coming to ABC Freeform. Actress Olivia Holt has been hired to pay Dagger in the TV series. Olivia Holt has been actress in various Disney projects including staring in the Disney XD show "Kick'in It", staring in the Disney Chanel Movie "Girl vs Monster" and the Disney Channel show "I Didn't Do It". She also released a musical album her EP is titled "Olivia".